After a hearty meal of milkweed leaves, this beetle is ready to lay some eggs. 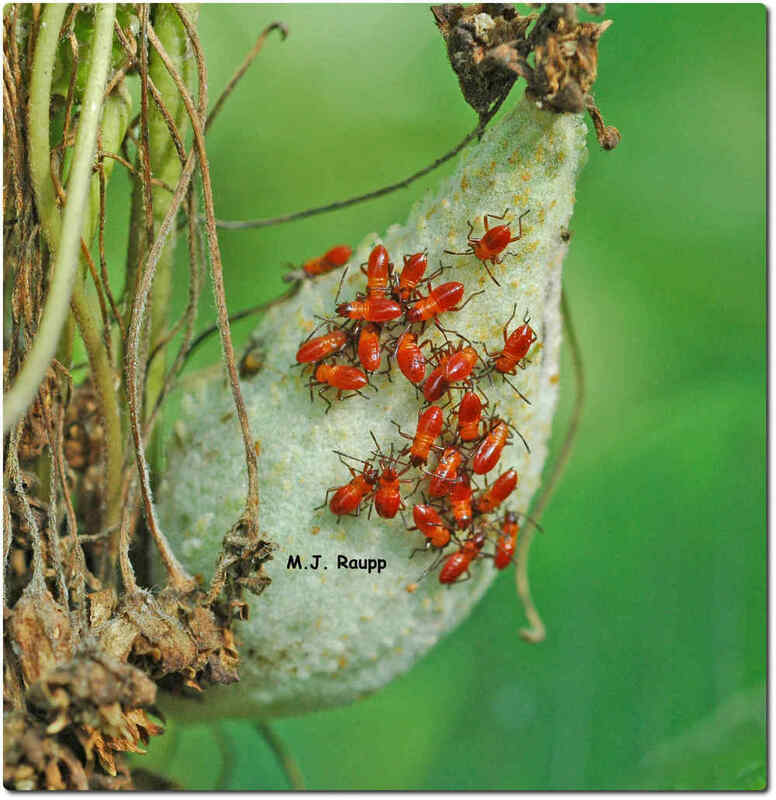 In a society where everyone is or will soon be a momma, populations of oleander aphids explode. Each year at this time things get a little bit spooky and we recognize a few styling bugs dressed in Halloween colors. This year’s ensemble features four insects that spent the summer and autumn on a few milkweed plants growing in my front flower bed. The first featured creature is a delightful insect called the milkweed leaf beetle. Adults and larvae of this gorgeous insect eat leaves of milkweeds. Beetles first appeared in mid-summer and removed large slices from the leaves of my milkweed. After dining for a few days, females laid eggs that hatched into rather handsome larvae. These tiny orange cows grazed on my plants until late summer, then dropped to the earth to form pupae in the soil. By September, a fresh batch of adult beetles had emerged and colonized the milkweed to fatten up on tasty leaves before seeking a protected refuge to survive winter somewhere in my garden. Long beaks enable nymphs of milkweed bugs to eat seeds within the milkweed pod.